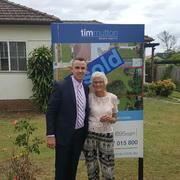 Tim Mutton’s commitment to delivering outstanding results is well known by his peers and colleagues. An intelligent real estate professional with many years experience in the industry, Tim has gained a reputation for providing exceptional service and working tirelessly for his clients to get the best possible outcome. 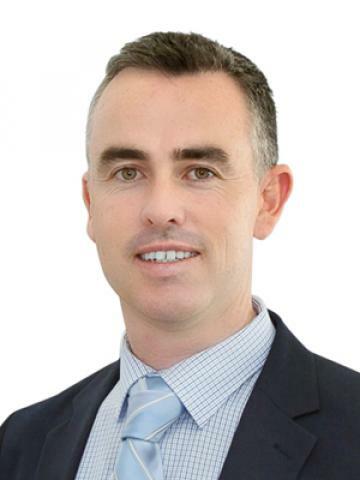 Tim has a keen ability to provide careful attention to detail when advising vendors on the best way to market their property with thoughtful presentation tips and the use of cutting edge marketing technology. With an extensive background in sales, he is used to dealing with a wide range of clients and thoroughly enjoys being able to share his detailed knowledge with others. As a licensed real estate agent, Tim is aware of the importance of building strong personal relationships on both sides of a business deal and ensures every contact with a new or existing client is an opportunity to raise the benchmark in quality of service, advice and results. He is well equipped to help home sellers and buyers with their property decisions. This modern home has been tailored for family living with light filled interiors and low maintenance outdoor entertaining. It is conveniently placed easy walking distance to local shops, parklands & bus transport including Liverpool to Parramatta T-way. Other great features of this family home include; - 3 Spacious bedrooms, all with built in robes. - Lounge and dining room. - Immaculate kitchen with Timber Benchtops & electric cooking appliances. flowing on to family room. This immaculately presented sunfilled home will sure to lease quickly...don't miss out! Features include; 4 bedrooms with built in robes. Spacious kitchen. Modern bathroom with separate bathtub. Split system air conditioning. Immaculately manicured front and back yard (garden shed included) Undercover deck, great for entertaining. Drive trhough Lock up garage with remote door. A private sanctuary offering a fantastic lifestyle you & your family deserve. Architecturally designed & blessed with a wonderful sense of space with light filled rooms throughout. This must see home will certainly meet all the needs of a growing family looking for that something special. Other features of this home we love include: * 4 Large bedrooms each with a built in wardrobe. * Master bedroom featuring Ensuite & Walk in robe. * Quality Stainless steel cooking appliances & Dishwasher. Located in a elevated ground floor position of a well maintained secure complex of just 8 units, is this sun drenched apartment. Home to the current owner who is highly motivated to relocate closer to family interstate. The Highlight features of property include: - Two Spacious bedrooms, both with built in robes. - Modern kitchen with ample cupboard & benchtop space. - Generous sized combined lounge & family rooms. - Polished timber floors throughout, tiles to kitchen. Occupying a private cul-de-sac address, this modern home has been tailored for family living with light filled interiors and low maintenance outdoor entertaining. It is conveniently placed easy walking distance to local shops, parklands & bus transport including Liverpool to Parramatta T-way. Other great features of this family home include; - 3 Spacious bedrooms, all with built in robes. - Lounge and dining room. - Immaculate kitchen with Timber Benchtops & electric cooking appliances. Ideal for downsizers, Investor or first home buyers this brick veneer home is situated in a small complex of only 8. Featuring open living which flows to a generous sized easy-care paved courtyard bathed in sunlight and offering privacy. Boasting an easy single level layout with no steps and low strata levies it delivers the perfect environment for low maintenance living at an entry level price. * 3 bedrooms, sunny & light interiors & all with built-in robes. Superbly set in a quiet street, this warm and inviting family home has been built with tender loving care. Boasting a pleasurable and entertaining indoor/outdoor lifestyle with an abundance of creature comforts and living areas making this an ultimate family lifestyle. Features we love; - 4 light filled bedrooms with built-in robes. - 3 generous sized bathrooms. - Ensuite off main bedroom with spa bath. - Custom timber kitchen with quality appliances including dishwasher. - Study. Must Be Sold - PRICE REDUCED. A flawless example of a contemporary family friendly design, this impressive single level residence showcases immaculate presentation, modern finishes & functional floor plan. Promoting seamless open plan living inside & out, the fully integrated kitchen flows to the spacious family room & on to the informal meals area. All overlooking the undercover out door entertainment area, lush level lawns, manicured gardens & Positioned in one of Picnic Points most desirable Cul De Sacs. Nestled in a quiet street in Bass Hill, this wonderful home embraces a low maintenance lifestyle with open plan living on offer and perfect outdoor entertaining area's for family & friends. Within close proximity to Bass Hills Plaza, Chester Hill Train Station, quality schools, this outstanding home will really impress you from the moment you walk through the front door. Features of the home include: - 4 Bedrooms with built in robes. - Main bedroom with ensuite & walk in robe. Our highly motivated vendor is offering the chance to take advantage of a fantastic opportunity to buy this family home first time offered in 30 years! The property has great potential, currently zoned R3 and located in the NSW Planning draft area for future rezoning to R4 High rise development. Please refer to NSW Planning for further information. Other great attributes for this property include: - 3 Very generous sized bedrooms. - Separate Lounge & Dining rooms. - Quiet Cul-de-Sac location. Occupying a level 586sqm block, this home blends Post War period charm with traditional layout to create a home with wide appeal and great promise. Well-presented and ready to move into or rent out, there's scope to refurbish and capitalise. - 3 good sized bedrooms. - High ceilings, timber floors underneath, picture rails. - Full brick freestanding house. - Large level rear garden. - Modern kitchen with gas appliances. - Original bright bathroom with bathtub. - Large garage & Laundry room. A superb opportunity offered to purchase this 695sqm parcel of land, only minutes from central Revesby. Located on the block is the original 3 bedroom fibro home offering generous sized bedrooms, natural light filled lounge and dining room with air conditioning & polishing timber floors. Other great Attributes include: - Poenetial to invest, renovate or develop (STCA) - An impressive total of 695m2 of land 15.24m x 45.72m. - Picturesque outlook, directly opposite Johnstone Reserve. Excellent 2 bedroom apartment in a secure building positioned in a great location only 2 minutes walk to train station & Auburns shopping, cafe and restaurant strip. Other Features we love include:- - Roomy kitchen with stainless steel oven, Rangehood & gas stove. - New Floating timber floors. - Built in robes to both bedrooms. - Large bathroom & ensuite to main. (2 x toilets) - Air conditioning. - Spacious balcony with uninterrupted northerly views. - Secure undercover parking. Freshly New to the rental market, this beautifully presented home could be your new address for Christmas & 2018. This 4 bedroom family home is Positioned on the ever popular Macleay Street, which provides a short stroll to local parks, schools, shops & public transport. The long list of features this home includes are: - Spacious open plan Kitchen with stainless appliances & island bench top. - Built in robes to all 4 bedrooms. - Formal Lounge & separate meals area. - Single Lock Up Garage. Situated only minutes walk to the heart of Marrickville's Vibrant shopping, Cafe/Restaurant strip is this modern 3 bedroom home with complete privacy. Other Features of the property are:- - Open plan living area. - Modern Kitchen with ample cupboard space. - Floor Boards and Tiles Throughout. - Combined Laundry & bathroom - Garden Shed - Undercover Off street parking - Close to schools, public transpropt & Public Reserve. Call to book your inspection. APPLICATION APPROVED - DEPOSIT RECEIVED. Only 1.5 year young. This property is completely separate from the main house and consists of 2 bedrooms both with built in wardrobes, bathroom and laundry combined, kitchen and living room, ceiling fans, small rear yard and an undercover area at the front. The property has off street parking as well. Conveniently located nearby is preschools, schools, local public transport, Moorebank shopping village & easy access to the M5 Motorway. Two for the price of One!! Spacious 3 bedroom family home, Plus completely separate 2 bedroom Granny Flat. Perfect for an extensive family. The main home features: *Timber Floors throughout and tiled Dining Area. *Renovated Kitchen with electric cooking appliances. *Built in robes *Separate lounge & family area *Split system Air conditioner The Granny Flat features: * 2 Large bedrooms *Combined Kitchen and Living Area * Separate toilet & bathroom * Additional storage area. The property has a 3rd toilet attached to the Laundry, ample off street parking including carport. All close walking distance to schools, shops, parklands & public transport. Tidy 2 bedroom family home located in the very quiet Parmal Avenue and only a few minutes walk to trainstation, Bus stop, schools & Pastow shops Including Woolworths. Other Features include: - 2 x Split System Air conditioners - Large Kitchen with Electric Cooking and ample cupboard space - Built in robes - 2 x bathrooms and 2 toilets - Parking for 3 vehicles - Large Laundry Available 25th September 2015. Offering total privacy & quiet Cul-De-Sac Location, this immaculately presented 2 bedroom Granny Flat is currently vacant & available. Featuring kitchenette with ample cupboard space & stainless steel Gas appliances. Internal Laundry, Floating Timber floors throughout, Air Conditioning, Ceiling Fans & Leafy yard with Pergola. All within walking distance to shops and Train Station. 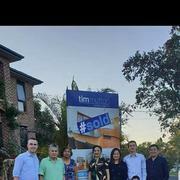 I would like to thank and congratulate Tim on the successful " Auction Sale" of my property at 86 Bransgrove Rd, Revesby on 2nd December 2017. His professionalism to all details, advertising etc prior to sale was excellent, also his staff on the day of Auction were all 100%. 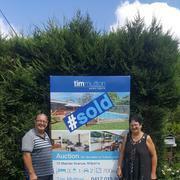 Tim also follows up on all transactions etc very promptly and is always in contact with the vendor. 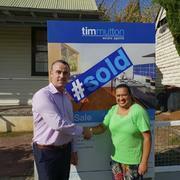 I can highly recommend Tim Mutton & his company to any future sellers and purchasers, he will get you a good result as he did for me.